← Discount on Crystalline EF60! The Terra 120G is a stylish bottom rolling sliding door gear for frameless glass doors. 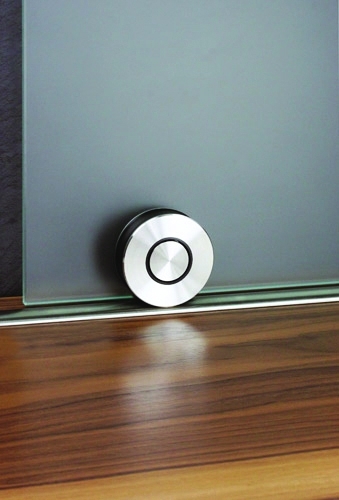 The gear is perfect for use in a modern home with frameless glass doors up to 120kgs each. The satin stainless steel track comes pre-drilled in 2m and 4m lengths and can be cut down to suit your needs. The kit comprises of a track, single wheel rollers, double end stops and a top guide. The Terra 120G is a perfect addition to a modern home to increase space and light. This entry was posted in Company News and tagged Stylish, Terra 120g, bottom sliding door gear, frameless glass doors, increase space, modern, product spotlight. Bookmark the permalink. 10% Off All Industrial Sliding Door Kits!